Makeup-lovers, assemble! 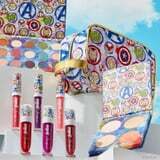 Ulta just dropped Marvel’s Avengers collection, and it’s out of this world affordable. The line was created to celebrate the highly-anticipated release of Avengers Endgame on April 26. It includes a 15-shade eye shadow palette, superpowered lip glosses, long-lasting matte liquid lipsticks, and a four-pan highlighting palette. The products come with inspiring names like: “I’ve Got This ,” “Built For Battle,” and “Fearless” to further inspire you to reach your highest dreams. If that’s not exciting enough, they also feature colorful themed packaging that will make you feel heroic by default. Keep reading to shop all the items in the collection, plus a few makeup bags and organizers for all your new goodies.